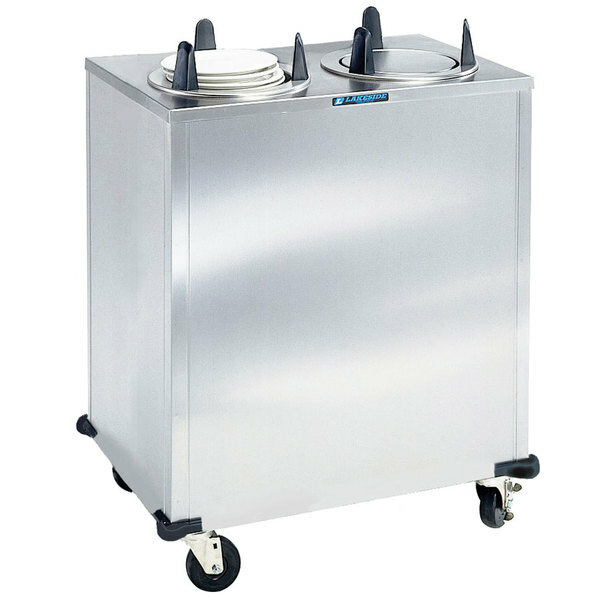 Ideal for mobile buffet lines and transporting your china safely, this Lakeside 5206 stainless steel enclosed two stack non-heated plate dispenser is a great solution to dispensing plates. 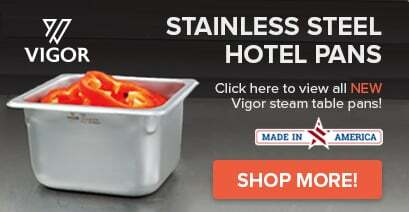 Made of easy-to-clean and easy-to-sanitize stainless steel, this plate dispenser will hold plates 5 7/8" - 6 1/2" in diameter for smooth, clean dispensing. The enclosed base of the cabinet helps to keep your plates protected and free of contamination, while the dispensing height level is easy to adjust in the field without the use of tools!